Hot on the heels of Amazon announcing its new office campus in Arlington, eyes are turning towards Apple’s rumored interest in a new location in Northern Virginia — specifically, Tysons. The Washington Post reported in May that Apple was considering the Scotts Run development in Tysons. Now, Tysons Reporter hears that the iPhone maker is “seriously” eying a Fairfax County office campus, potentially bringing up to 20,000 jobs to the area. So what is Scotts Run and what is planned there, exactly? 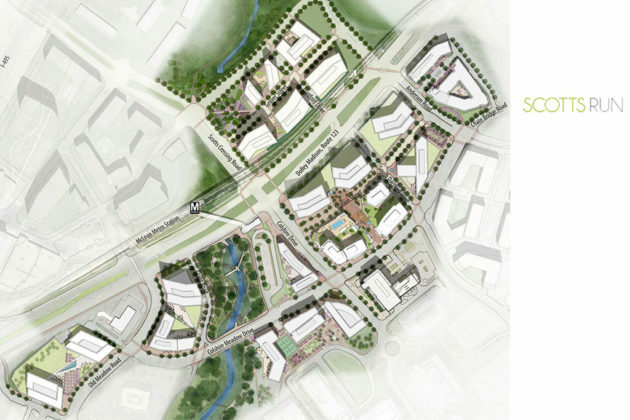 Scotts Run is a proposed 8 million-square-foot mixed-use development near the McLean Metro station. 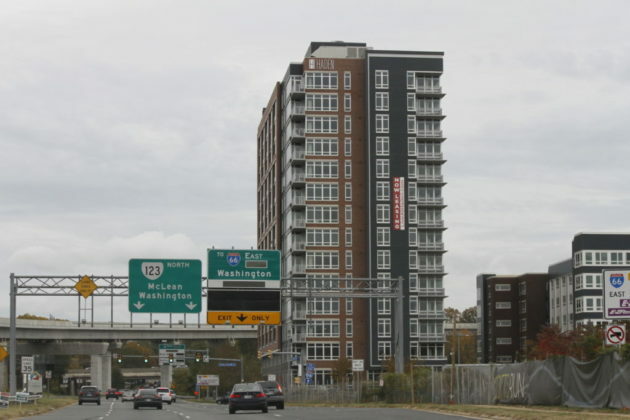 The development, broken into Scotts Run North and South, straddles Dolley Madison Boulevard (Route 123). Scotts Run had been mentioned as a potential location for Amazon but passed over by Fairfax County and the Commonwealth of Virginia as an official applicant in favor of the 26-acre CIT site in Loudoun, also Tysons’ competitor for Apple. Scotts Run South is part of a rapidly growing network of new developments at the eastern end of Tysons spurred by the development of the Capital One headquarters. 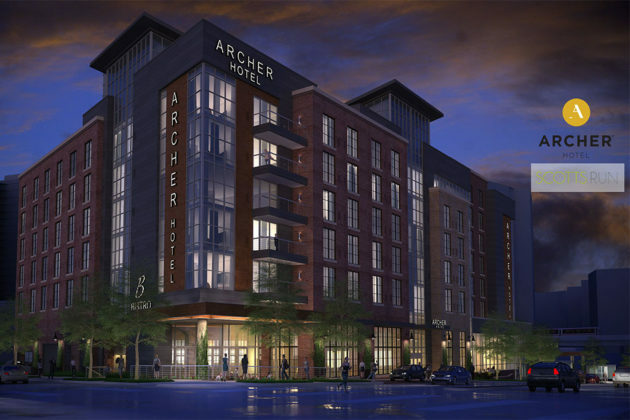 Approved in 2013, plans call for seven apartments, nine office buildings, an Archer Hotel and retail space. The 425-unit apartment complex The Haden and the 14-story office building Mitre 4 have already been completed. Two new residential towers were approved in May 2018. The towers will have a maximum of 475 units combined, of which 20 percent will be dedicated to affordable housing. 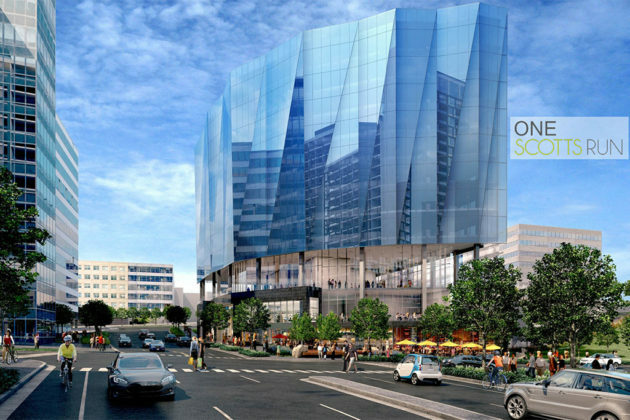 The proposed Scotts Run North development north of Dolley Madison Boulevard would convert a surface parking lot, which currently serves as parking for the Metro station, into a high-density mix of residential and office buildings. Whether Apple chooses to go the Amazon route and help inspire a new name for the neighborhood remains to be seen.